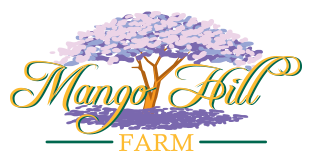 Take a break from hectic at Mango Hill Farm. Relax, slow your pace. Wake to birdsong. Farmstay is the art of relaxing, the art of enjoying life’s simple pleasures. Dovecote Cottage is a 100-year-old Queenslander that was brought to the farm on the back of a truck and lovingly restored plank by plank to the beautiful home it is today. Enjoy its beautiful bedrooms, spread out in the lovely living room, relax and take in the view on its wrap-around veranda. A generous 2-bedroom cottage with expansive living areas, this home has views across the farm and the animal enclosures from its vine-wrapped outdoor terrace. At the rear of the former Mango Packing Shed, two air conditioned bedrooms: queen opening to the garden, adjacent twin bedroom and a small TV/ sitting room with fold out couch that sleeps two. One bathroom with toilet plus separate toilet. Use of air conditioned commercial kitchen, outdoor BBQ area, wifi. Self contained air-conditioned cabin, combining small lounge area with TV, wifi, dining table and chairs, queen size bed, kitchenette with gas stove, microwave and bar fridge. Ensuite with shower. Views into forest. Small front verandah. Two bedroom cottage – air conditioned double bedroom , small lounge/dining room with TV, wifi and a small separate kitchen. Second bedroom with external door only has a single bed and use of an external bathroom nearby or the ensuite off main bedroom.